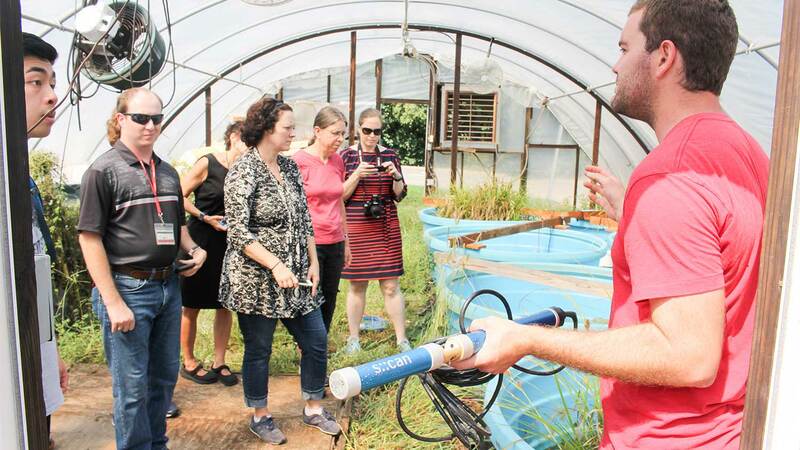 Ph.D. student Bryan Maxwell leads a tour of the floating islands research project on campus. When it rains, stormwater pours through infrastructure designed to mitigate flooding and filter pollutants from water. 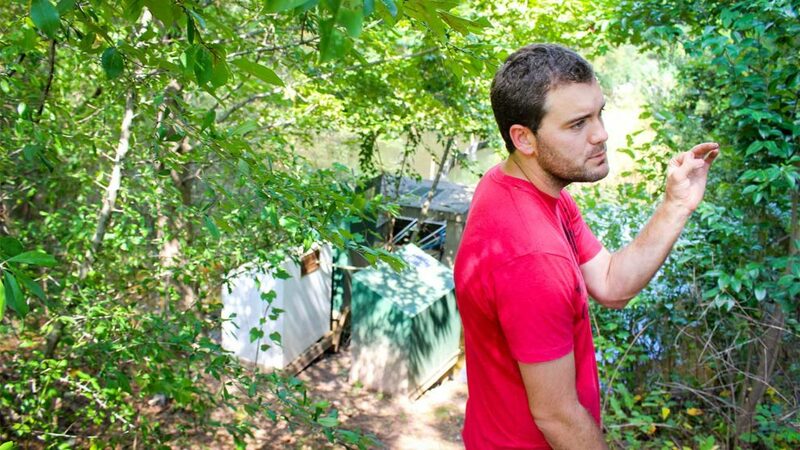 NC State student Brian Maxwell and recent graduate Dani Winter designed a research project to test how effective floating islands of plants are at filtering runoff that collects in stormwater ponds. 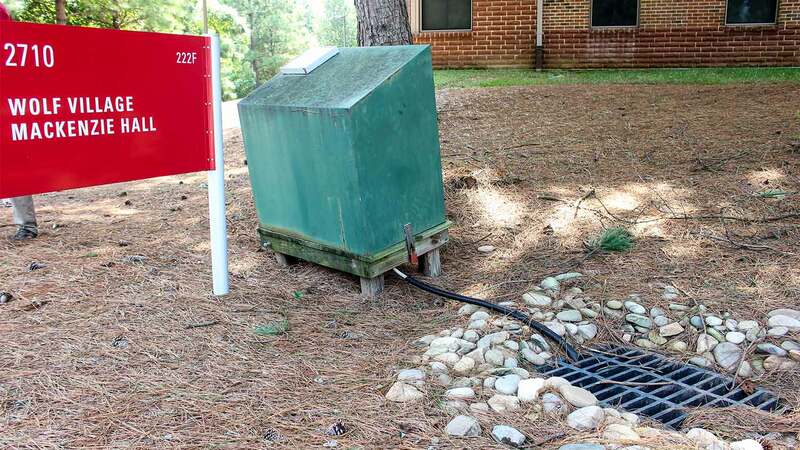 The research was supported, in part, by NC State’s Sustainability Fund. In September 2018, Maxwell provided a tour of the campus project as part of the university’s Sustainability Partners program. In the greenhouse lab, students experiment with smaller floating islands, which help them predict an island’s effectiveness in larger bodies of water. 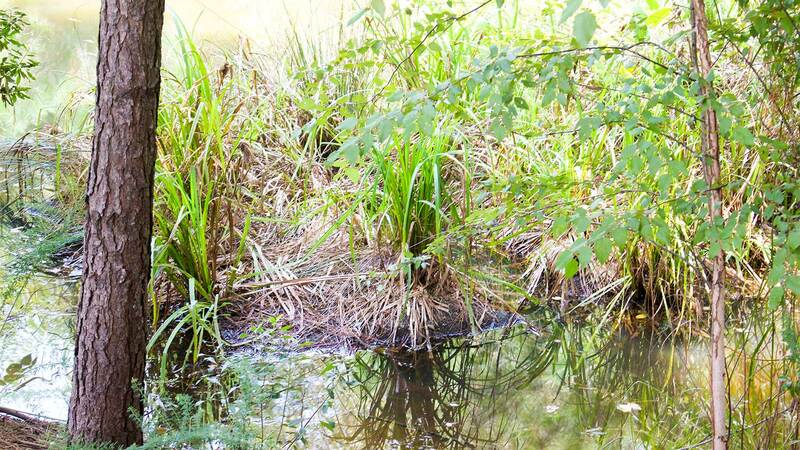 The root systems, which are submerged in water, filter pollutants. Bryan Maxwell, right, talks about the high-resolution water quality sensors that are used to track nutrient changes in water over time. These sensors are used in the floating islands project. A stormwater pond on campus is used for the experiment. The pond is located next to Wolf Village Apartments. Shown here is the inlet where water enters, travels through a pipe and becomes part of a nearby stormwater retention pond. Water quality is measured as water enters the inlet. For the research, the stormwater pond is divided with an impermeable liner. One side is a control side and the other side has floating islands of plants. Water quality data is gathered from both sides. The floating islands are built by installing wetland-specific plants on a floating mat, which is tethered to the base of the pond. Water is channeled through the islands, allowing more uptake of pollutants by the plant roots. Since the islands were installed over a year ago, additional plants have started growing on the islands. Over time, the islands have also become a habitat for insects and pond wildlife. 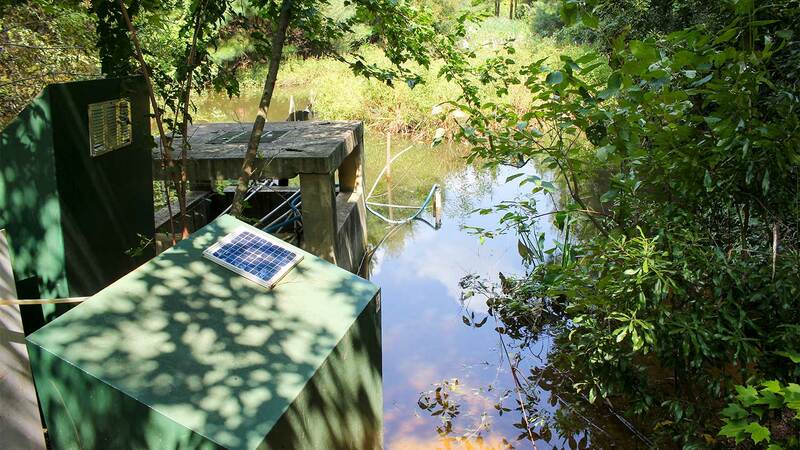 High-resolution water quality sensors, which are powered by solar energy, measure nutrient levels at the end of the pond. 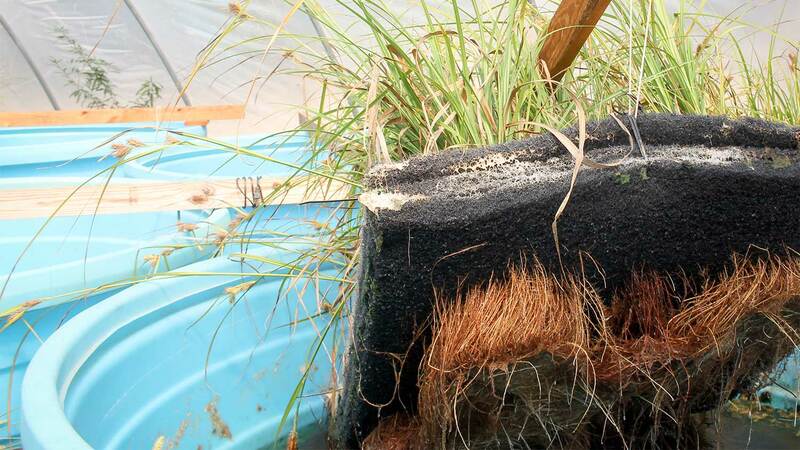 By analyzing this water quality data, researchers can determine the effectiveness of floating islands as a stormwater best management practice (BMP). 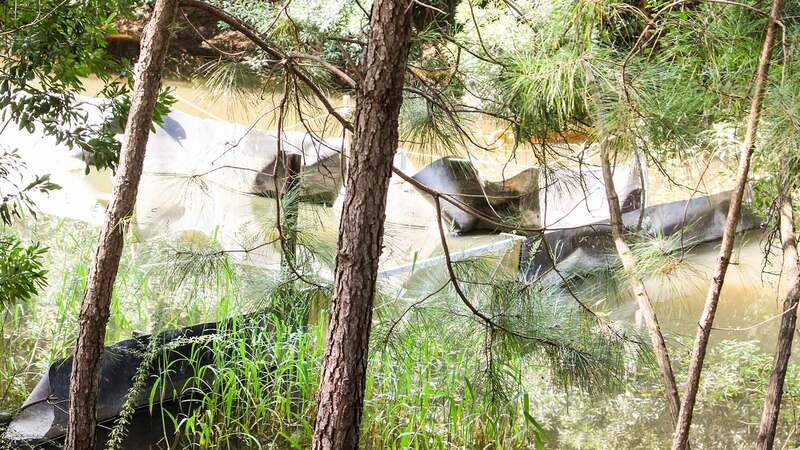 Published in News, Research, Students, Uncategorized, Water.